With the Ukrainian economy already teetering on the brink of collapse, the economic portion of Kiev's association agreement with the European Union threatens to destroy what's left of the country's agricultural and industrial base, and to turn Ukraine into a raw materials appendage of the West, independent newspaper Svobodnaya Pressa warns. "The long-awaited entry into force of Ukraine's Association Agreement with the European Union, instead of reviving the country's economy, will lead to its total deindustrialization and degradation," the newspaper writes, citing former Institute of World Economy researcher Vsevolod Stepaniuc, who said as much at a press conference in Kiev last week. In Stepaniuc's words, the agreement "provides for nothing else but the production of raw materials and the development of 'dirty' sectors of Ukraine's economy." Svobodnaya Pressa laments that "in addition to a fall in the GDP and living standards, this situation is leading to a catastrophic decline in the country's foreign exchange earnings, hence making it impossible to pay off the debts which have been growing like a snowball rolling down a mountain." At a press conference last Thursday, President Petro Poroshenko declared that his country was willing to negotiate the return of Kiev's $3 billion debt to Moscow (whose payback period expired on December 31), but accused Russia of stretching the issue out for political reasons. The debt, Svobodnaya Pressa suggests, is likely to be settled in court. "At the same time, Russia's Sberbank, [Russia's state-owned commercial bank] has been more accommodating, agreeing to restructure Ukrainian debt. On January 13, Ukraine's Finance Ministry announced that it had reached an agreement with Sberbank on the principles of restructuring the debt of the enterprises Ukravtodor and the Yuzhnoye Design Office, with a total debt of $636 million guaranteed by the Finance Ministry." "The problem," Svobodnaya Pressa suggests, "is that in addition to its debt to Russia, it has more than enough debt to other countries. To be precise, Russian debt obligations amount to only about 10% of the total." "The total external public and publicly guaranteed debt of Ukraine as of September 30, 2015 amounted to $46.5 billion, of which more than $35 billion is national debt, and another $11 billion is debt guaranteed by the state. In 2016, according to government estimates, these figures will rise substantially. The total volume of public debt will grow to about $62 billion, or 66.4% of GDP, or 86% of GDP when one takes account of the $18.6 billion in debt guaranteed by the state." With a combined state and private debt of $127.97 billion as of December 18, 2015, Ukraine will be forced to pay out over $10 billion in interest, the newspaper calculates. "Taking account of the current realities facing the country, this is a very serious figure." "With preliminary estimates by Ukraine's Ministry of Economic Development suggesting that GDP fell by 10.3% in 2015, and that it could fall another 3% in 2016 (or, according to the optimistic scenario, grow by 2.9%), it's not clear where exactly Kiev plans to get the money to repay its debt," Svobodnaya Pressa notes. According to Ukrainian political analyst and economist Alexander Dudchak, "Ukraine is broke." "Formally," the analyst told the newspaper, "the country's much-touted reserves, amounting to $13 billion, consist mostly of illiquid securities. Part of these savings is in foreign currency, and only a very small part – in gold. But Ukraine cannot use these savings to repay its debt. In fact Kiev has already started the process of non-repayment, failing to pay its $3 billion debt to Russia, along with almost $1 billion worth of the debt of state-owned companies." Kiev, the economist complains, is pursuing a policy which both he and other economists cannot wrap their heads around. 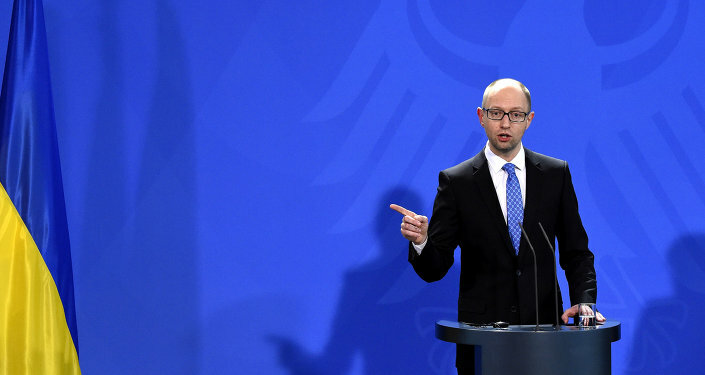 "What Ukrainian authorities expect is, to be honest, unclear. The source of foreign currency is, first and foremost, exports, and not loans, which no one will be willing to issue indefinitely (and which must be paid back). The situation with exports is difficult. The country consciously cut itself off from the Russian market, and trade with Russia has fallen by 60%. And the entry into force of the agreement on free trade with Europe will finish off Ukrainian manufacturers once and for all." Orange Resolution: Will the Dutch Close the Door on Kiev's European Dreams? For instance, Dudchak noted, "if last year every third dollar coming into the country was earned due to the efforts of our agricultural producers, today the agricultural sector has been dealt a crushing blow. In accordance with IMF requirements, more or less favorable conditions for taxing agricultural producers have been nullified, and a VAT is set to be introduced which will be difficult to return." "This," the analyst warns, "will give rise to new corruption schemes, without which nothing is done in Ukraine. Prices will grow significantly. 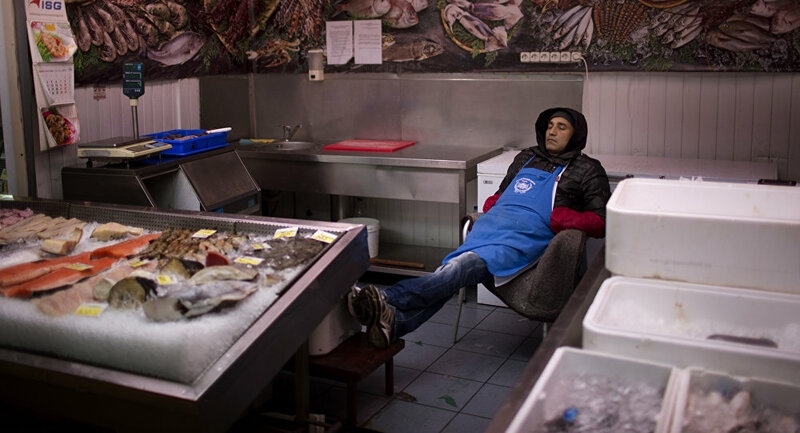 What's more, Russia has responded to Kiev's sanctions [in the form of an import ban on Ukrainian food], and the part of production which had once gone to the Russian market will now remain without a buyer." According to Dudchak, "the situation is dire. I do not see any real source of currency for the repayment of debt. There are no structural changes, and Ukraine has not gained new markets; on the contrary, we are finishing off whatever has somehow managed to keep afloat. 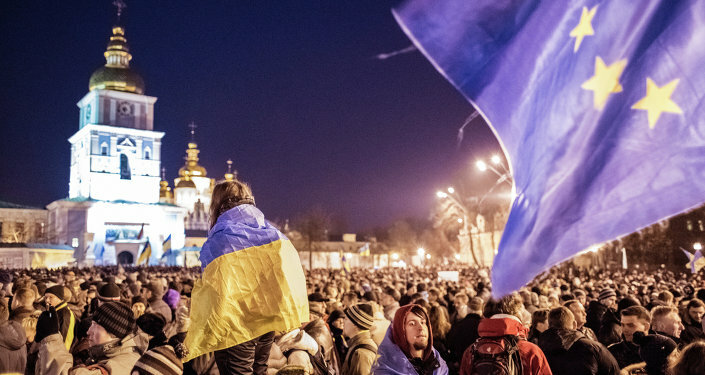 2016 will be a year of bad news for Ukraine." As to the IMF loan, the economist pointed out that in the present situation, the organization has effectively turned into a monopolist creditor, giving it significant control over Ukraine's economy. Moreover, "what the IMF is willing to allocate will not allow the country maintain its former standard of living, much less see its rise. It is a state of existence which, in the best case scenario, is akin to an economy in a state of intensive care, neither alive nor dead." For his part, Vladislav Ginko, an economist and lecturer at the Moscow-based Institute of Natural Monopolies Research, suggested that Ukraine has only one way out the dead end its Euro-integrationists have led it. "There is no alternative to saving Ukraine's economy than a full-scale resumption of economic ties with Russia. This would serve the interests of Ukrainian society, Ukrainian business and the economy in general. Kiev must acknowledge that while the so-called European vector might result in the creation of a visa-free travel regime, and the signing of some agreements, it cannot solve the problems of the Ukrainian economy." Whether Ukraine's authorities will be able to take such a measure, Ginko noted, is another matter, and will depend, at least in some measure, on the changing of the guard among Kiev's patrons in Washington and Brussels.